You’re dumb. And because you’re dumb, you’re going to fight me for saying that you’re dumb and then you’re the one who is going to get in trouble for fighting because that’s how dumb you are. You’re so dumb that you didn’t even learn the most basic lesson when you were a kid. That when another kid hits you while your parent or the teacher isn’t looking, then you react, getting the adult’s attention, and then hit back, you’re the one who gets in trouble since you’re the one who got caught. How can you be an adult and still not know that that’s how it works? Because you’re a dumb person, that’s why. Speaking of dumb people, Arsene Wenger is one, too. “Big sense of injustice,” he said after he lost 1–0 and two of his players got sent off. “I think Diego Costa is a red card.” Which is funny since red cards can’t call you dumb, as I just did, and I haven’t been shown one since 2012. 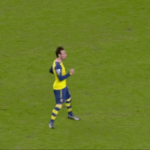 Gabriel and Santi Cazorla, however, are definitely both red cards. Why should I have been sent off twice when I didn’t commit a single foul (that the referee saw) all day? 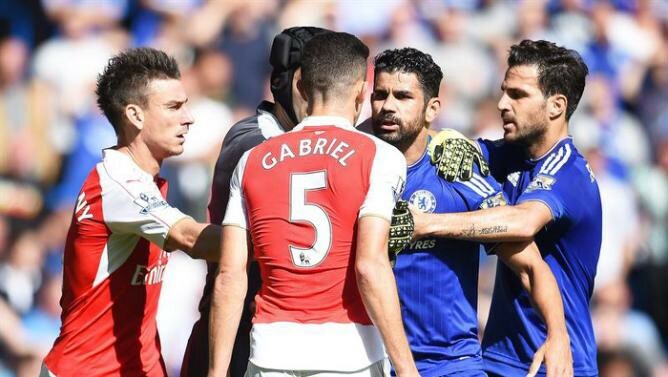 0 – Diego Costa did not commit a single foul against Arsenal in today's match. Zero. Yes, I totally did that, but I also didn’t do it at all because the referee didn’t see it. Why is this so hard to understand? No, I get away with it because I choose my spots more carefully than everyone else and because your equally dumb players retaliate when the referee is looking at them. So it was an injustice but the team that was punished was the guilty one? Sounds like the logic of a dumb person. But enough about him. Lets get back to you and how angry you are. I just explained exactly what I’m doing and how your anger only leads to you causing problems for yourself, but you’ll probably still give me what I want the next time I make it happen. That’s the beauty of this. I always win. Except when I get suspended by the FA based on video evidence, but that’s not fair and I don’t want to think about that. In conclusion, I hope that reading this has made you angry and want to fight me. Because scoring goals can be difficult, but getting you to ruin your own day is surprisingly easy.